Why, as a math teacher, did I become concerned about collaboration in my classroom? There were several reasons, but the biggest reason was our students. They deserved more and we needed to expect more from them. But what was the solution? What I observed was really good teachers, teaching and students seemed to understand content but they were not retaining much of what was taught. Along with that observation, I also realized there might be a solution to our problem while attending SBDM training. One of our schools in the district had eliminated the GAP scores with their special needs population. Their population was proportional to their enrollment compared to the other schools in our district. So, what did their school do that was different from the other three elementary and middle and high school? When I questioned their principal how they accomplished this, she replied that all her teachers collaborated using co-teaching strategies. All hands on deck, meaning all parties involved collaborate to achieve this goal. Not a novel strategy so why didn’t we all do that, I wondered? This was something that concerned me and I wondered what our school could do about it. And that is how my journey to become a teacher leader began. At first, I was very apprehensive because I didn’t know how to go about the process of changing the status quo. One Friday evening, while scrolling on Facebook, I noticed a former national board certified colleague of mine shared a link to apply for a proposal to develop a project. This site for the proposal was the Classroom Teachers Enacting Positive Solutions or CTEPS. The due date was that Friday, the evening the Facebook status caught my eye. On a whim, I decided to write a proposal to develop a collaborative co-teaching model or framework to be used in our school, never thinking I’d be accepted. My grandson was my inspiration for the proposal. He is my firstborn grandchild. He was born with strabismus which is basically being cross-eyed. I saw what my son, his wife, and my grandson went through. 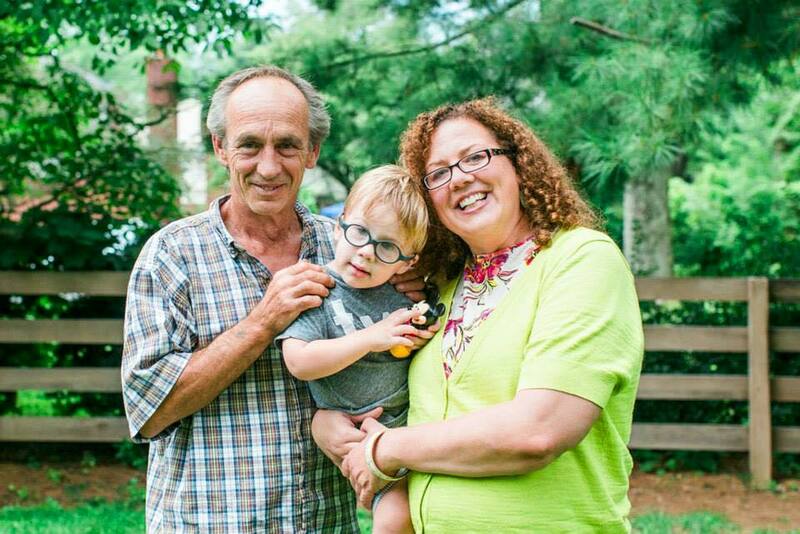 The heartbreak, worry, and guilt of seeing their son developmentally delayed due to his vision problems. He is an intelligent child but due to his vision issues he has endured several eye surgeries to correct the crossing of his eyes. 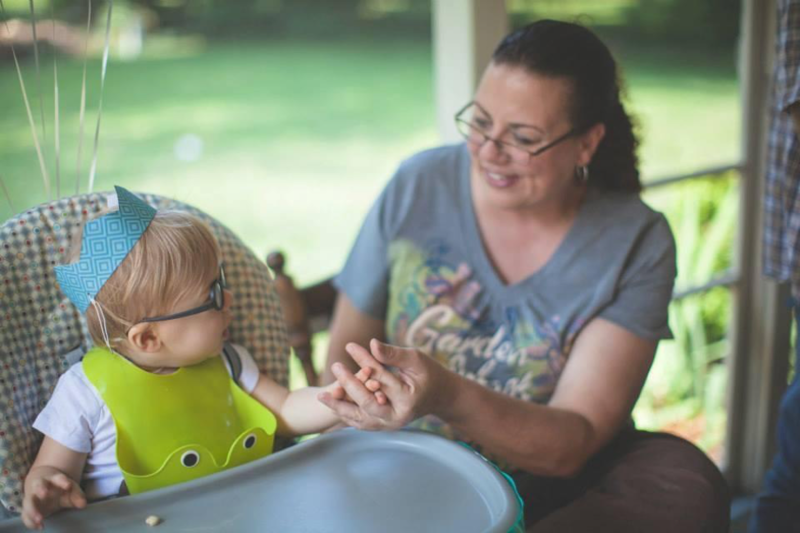 He saw specialists through first steps and they paid a great deal to see other specialists such as occupational, physical, and speech therapists to ensure Henry eventually overcame his developmental delays. I am proud to say that Henry is one of the sweetest and most intelligent little dudes and a great role model for his younger brother. However, I am slightly biased. As Henry’s doctors told my son, if his vision wasn’t corrected with surgery he would have gone blind and missed opportunities to meet his milestones. Many of my special education students have missed opportunities to meet their milestones. This is through no fault of their parents but because we live in a rural town with so few resources, unlike where my son lives where he has multiple resources. I also realize that all children are not so lucky to have parents that will seek out interventions so early on. Many of those children become enrolled in school with severe developmental delays, and teachers must fill that gap. We have to do everything in our power to make sure that these students are provided with the necessary tools to become successful adults. When I found out that my project was accepted, I was so excited! However, I hadn’t realized how much work would be involved, and how many other factors I would encounter that play a role in creating a framework. I couldn’t just snap my fingers and get this done. First I had to a lot of research. It’s not just an idea on paper that is magically going to change the status quo. For this project to become successful it must involve motivating people, developing relationships, (or mending), regular communication, and lots of time. Time to meet to discuss students’ needs and modifications, time to plan, time to analyze, and time to process everything. And like in many schools, time is not what most teachers have. I had to go back to the drawing board multiple times and re-think and adjust what my ideas for this project were. So, one of the factors that I encountered turned out to be a positive. The teachers’ voices themselves. After the initial teacher survey, I had a few people on board and backing from my administration. I realized that in order to become a more effective leader, I had to let some of the others control the reins, so to speak. Therefore, I planned a PD and discussed my project. We discussed some of the misconceptions of co-teaching and then watched examples of the six co-teaching strategies. We were already doing three of the strategies such as two that are self-explanatory, one teach-one observes, one teach-one drift, and alternate teaching which basically means that one teacher takes responsibility for the large group while the other teacher works with a smaller group on a specialized need. We decided as a team that we would continue to revise and use those but also try out at least two different strategies such as a parallel teaching, station teaching and team teaching. These were strategies that few of us used in the collaborative classroom and we were not comfortable using them. The input was amazing. The teachers were actually excited to use strategies so out of their comfort zone. However, one big obstacle that we all have was time. Many of us did not have time outside of the classroom to meet regularly to plan. And another big obstacle for the special education teachers was that they collaborated with multiple subjects and multiple grades so they didn’t have the time or mindset to co-teach in every class that they were in. Their schedules weren’t made flexible enough to plan with one teacher and one subject. Many of them co-taught in multiple grades and subjects and at multiple times of the day. The schedule was an obstacle that we had no control over, and there isn’t enough money to fund a collaborative teacher for each content teacher. So, we all came up with a more efficient strategy to plan. Each content teacher would use a calendar to write down what content they were planning on teaching and when they expected to assess that content, then send it to the special education teacher so that they can choose which day, co-teaching strategy and class period in which they would collaborate with the teacher to implement a strategy. In this way, everyone involved wouldn’t feel so overwhelmed. This proved to be more difficult than I imagined and I was a little disappointed that I didn’t exactly complete what I wanted for our school. What would I do different? I would start earlier in the year and I would delegate more. I would also want to involve everyone: parents, instructional aides, administrators, as well as our team of collaborators. Lucky for me that I have supportive administrators that feel this is important. I am contracted to conduct a district PD before school starts for the 2017-2018 school year. That will be just an overview of the strategies that can be used in a co-teaching collaborative setting. I will also be conducting a school-wide PD for our teachers prior to school starting. My goals are to complete a lot of the paperwork with our collaborative teams before school starts, such as analyzing student IEP’s, and then plan a rough outline of our content for the year. I would also like to take a professional day with a group of teachers to visit and observe other schools that have a co-teaching model in place. We had planned to do this during the previous school year, but unfortunately lack of substitutes made it impossible. Also, I would make sure that teachers communicated positively and regularly, assuming positive intentions. These were requirement NORMS for our CTEPS meetings, that I am “borrowing”. I am also in the process of catching up with some summer reading and I am reading several books on leadership and how to motivate people. What creates the most value is the relationships you forge with all stakeholders. This is just a start and it is my hope that we will continue to use and revise the co-teaching model every year. I believe I have the support of the administrators and teachers to do this. Hopefully, this model will “catch on” to the other schools in our district and will have a positive effect on student achievement GAP scores. Increasing student achievement has many far-reaching effects for these students, not only do they gain knowledge and understanding, they gain confidence. This also creates a domino effect within other student populations. Students that gain confidence also usually display positive social, emotional, and communication skills that continue to have positive consequences for them. Co-Teaching Strategies in the Collaborative Classroom. Theresa Williams is a 6th Grade Math and Science Teacher at Morgan County Middle School in West Liberty, Kentucky. She is starting her 18th year of teaching. She loves her job and when she isn’t grading, planning, or teaching, she is spending every moment she can with family, especially her two grandsons.